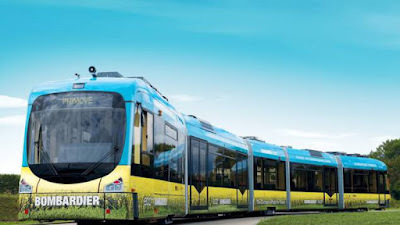 Bombardier Transportation has successfully completed a 41.6 km catenary-free test run using a Bombardier-built tram, powered entirely by its PRIMOVE battery in combination with BOMBARDIER MITRAC. The test run was conducted in the German city of Mannheim on the Rhein-Neckar-Verkehr GmbH (RNV) network. RNV began using SuperCaps energy storage systems in 2009, and has integrated this technology into 30 of their trams. This provided sufficient energy for short CFO distances. However, the latest generation of Bombardier’s PRIMOVE battery system has been specifically developed for use with CFO where greater distances need to be covered. In addition to application in Germany, the PRIMOVE battery and MITRAC propulsion equipment combination has been in successful revenue service on the Hexi line in Nanjing, China since August 2014. Six trams, built by CRRC Puzhen under Bombardier license, operate without overhead cables on 90 per cent of the lines. The batteries are charged seamlessly during passenger service via the pantograph, statically at tram stops, and dynamically during acceleration. 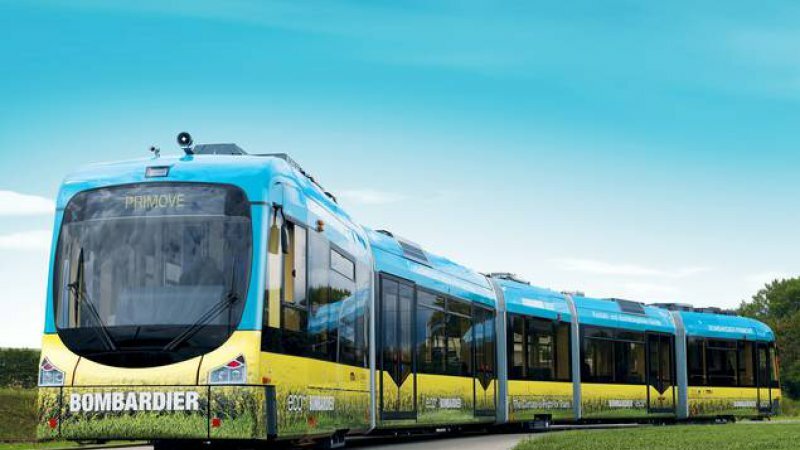 On this demanding route, the CFO propulsion system has proven its suitability for almost any tram line worldwide. The innovative PRIMOVE battery system builds upon Bombardier’s many years of experience with energy storage systems. The system combines high power capacity and exceptional battery life with high reliability and has been designed to maximize performance using the latest developments in nickel manganese cobalt (NMC) Li-Ion cells. The advanced PRIMOVE thermal conditioning unit maintains the battery’s ideal temperature and enables rapid charging and full braking energy recovery while extending their lifetime to up to ten years.